WEP or Wireless Encryption Protocol was the initial encryption method offered on wireless network. It was more like a joke as hackers could easily break into your wireless network within 30 minutes. If you are still using WEP encryption, it is time to smell the coffee. You need to change your network’s WEP encryption key into WPA or WPA2-Personal. If these options are not available on your router, you should immediately upgrade the firmware or invest in a new router. 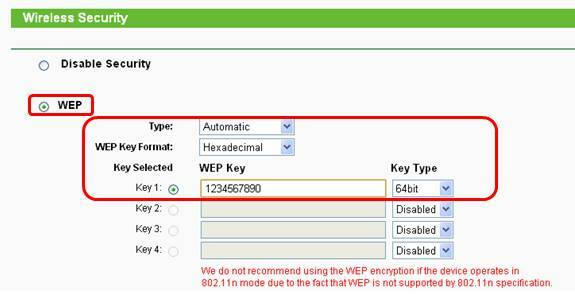 Let us have a look at the process for changing network’s WEP encryption key.